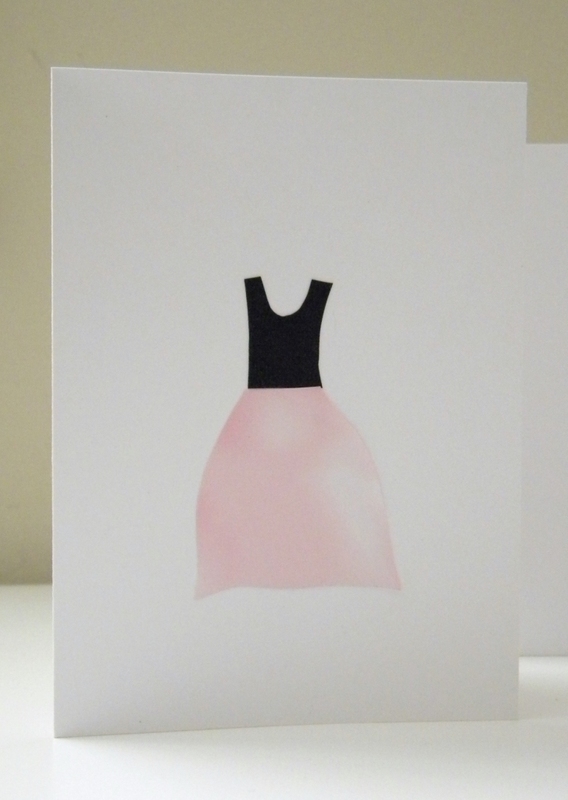 Back in August, I made note cards that featured little black dresses. 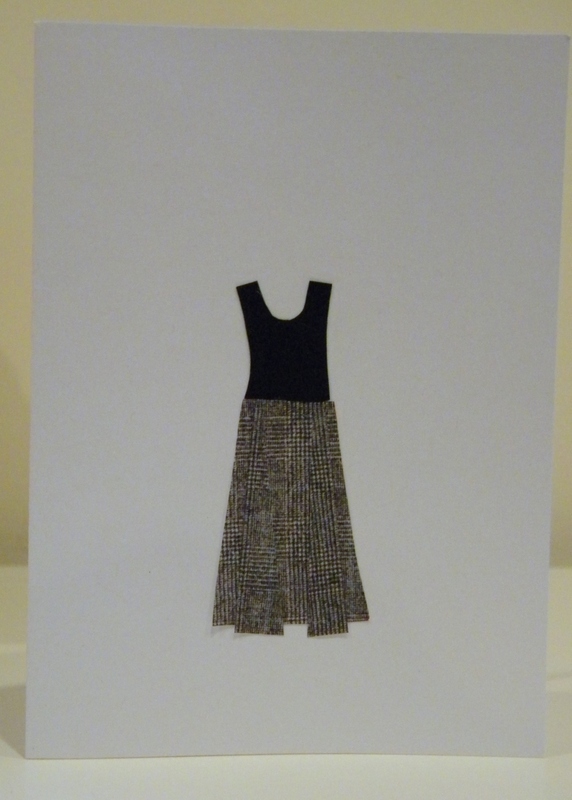 I cut out each dress using black cardstock and glued them onto a white note card. I called them the LBD (little black dress) note cards. I decided it was time to update the collection. The new cards are seasonal skirts. Just like the LBD cards, I drew a template and cut out each skirt and top. 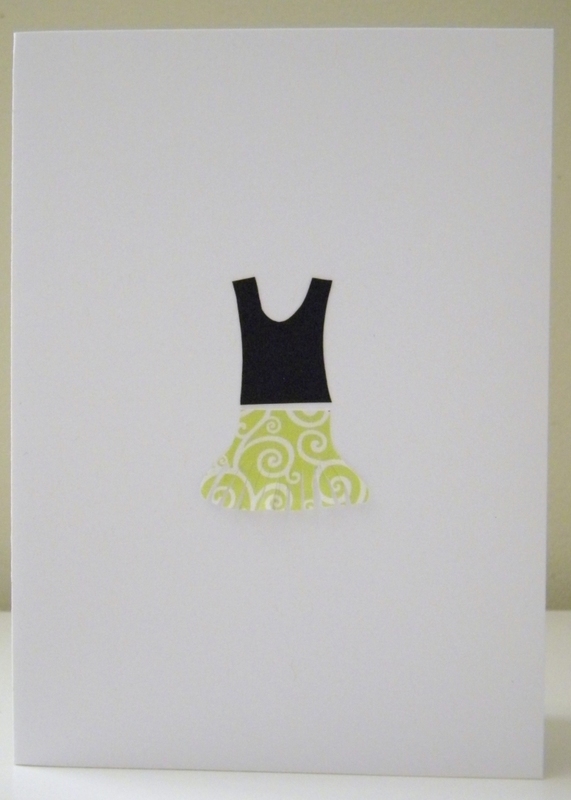 With the skirts, I used images of fabric and printed them onto white card stock first. 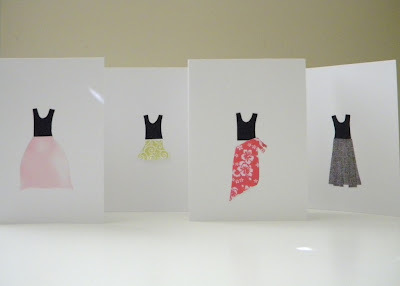 The winter formal skirt is pink satin, the spring mini skirt is a lime green and white cotton, the summer sarong is a red hibiscus print and the fall pleated skirt is a wool plaid. ﻿These skirts are ready for the runway. 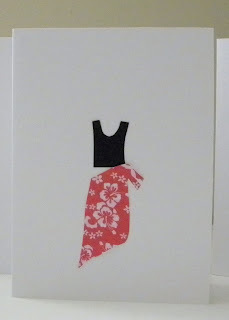 Note: These seasonal skirt cards are available in my shop. These are stunning. Simple yet so elegant - I love them! I became a follower a couple of days ago and have just finished going through your posts. You are A.M.A.Z.I.N.G!!!! I love to craft by "using my stash" and you have given me many, many ideas. Thank you. I can't believe I didn't think of this. I do save colored and textured white envelopes for their paper.